The Lock & Roll Organizer was invented for one simple reason: to make life easier. As a husband and father of three kids, inventor Mark Tavolino knows how hard it is to keep the house (and garage) clean and organized. 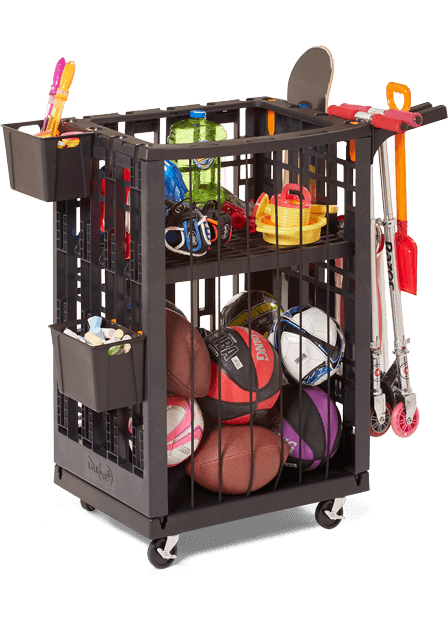 Searching for a simple way to store and organize all the sporting equipment, garden tools, and pool toys, Mark came up with the Lock & Roll Organizer – a customizable storage system that tailors to individual storage needs. The Lock & Roll Organizer is an easy to assemble, use and clean storage system – perfect for sporting gear, garden equipment, toys, school supplies and just about anything cluttering up a garage, basement, backyard, school, or gymnasium. The customizable and expandable product is also mobile, compact, and durable. The Lock & Roll Organizer team cares about the environment and community in which it serves. Because of this, Lock & Roll Organizer has reduced its carbon footprint by using recyclable materials in assembly. 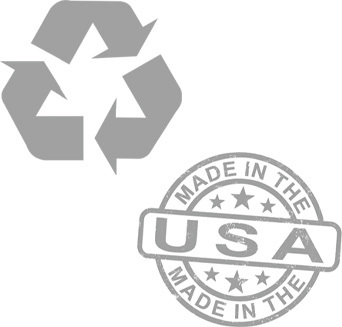 In addition, Lock & Roll Organizer is proudly made in the USA, creating jobs and further reducing its carbon footprint by not burning fossil fuel and emanating green house gases needing to ship from far-off continents. Lock & Roll Organizer founder Mark Tavolino is dedicated to providing unique, affordable and customizable storage solutions for every home and also strives to make a difference for families touched by pediatric cancer. After watching his own son battle leukemia for three years, he wanted to make Lock & Roll Organizer a company with compassion. In 2019, Tavolino intends to deliver a Lock & Roll unit filled with balls, games, gifts and toys to every pediatric oncology clinic in Illinois, with additional units to individual families battling childhood cancer. A portion of every sale will be used to fill and donate a Lock & Roll Organizer.